Premiere Van Lines offers a wide range of moving services for both residential and commercial customers. No matter what you need to move, we'll help make sure your next move is a masterpiece. 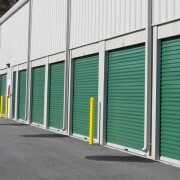 We started with the intention to serve our clients with all their storage needs. Having 40 mobile 80 sq/ft and 160 sq/ft storage containers, weather proof and secure makes our goal achievable. With 20 years of experience, here's what you can expect from us : - Low Rates - Friendly Service -Free estimates Give us a call today! Consultez le bureau de l’éthique commerciale si vous avez des doutes une entreprise de déménagement à Grand-Barachois NB.